Yeah, this is so Geneva. 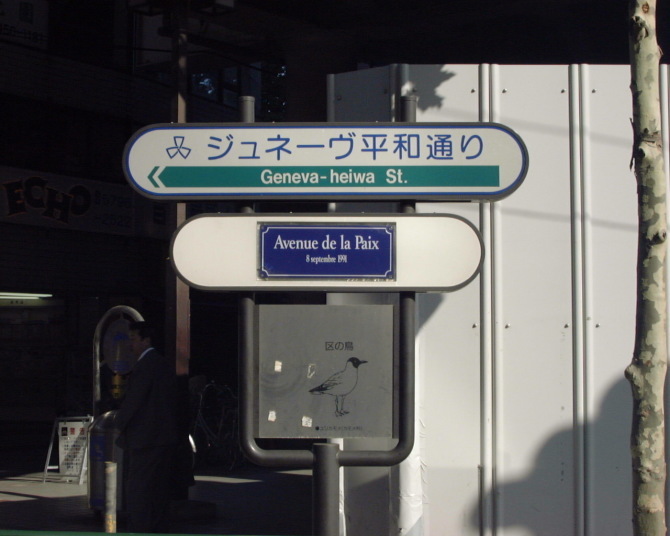 According to Shinagawa Ward Office Website, where the street located under the ward's jurisdiction, it says that the Shinagawa Ward and the City of Geneva is under the friendship city, and a street sign was presented to the ward. But I can't stop wondering this -- why this street?